Robert Hogan Dillon 61, of Huntington, WV passed away on Tuesday, October 23, 2018 at St. Mary’s Medical Center. Services will be held on Friday at 3:00 p.m. at Beard Mortuary with Pastor Denver Prater officiating. Friends may call after 2:00 p.m. He was born June 12, 1957 in Huntington, WV. 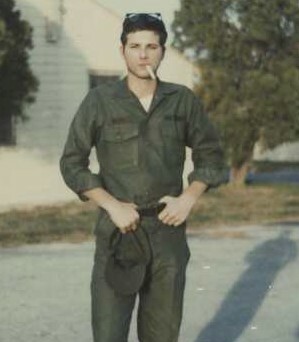 He was a graduate of Huntington East High School and served in the U.S. Army as a medic in Texas and Augsburg, Germany. He was preceded in death by his father, Hogan Orin Dillon, grandparents, Willa and Forrest Morris and an uncle, Clarence Polley. He is survived by his mother, Ramona Polley Dillon Capron, a daughter, Angela Willa-Marie Dillon, a grandson, Braxton Michael Lee Dillon, three brothers, Michael Woodard, Patrick (Melody) Woodard and Scott (Nafi) Woodard; three nephews, P.J. , Douglas and Gabriel Woodard; an aunt, Billie Sue Graybeal and step father who raised him, Brady Paul Woodard. Online condolences may sent to www.beardmortuary.com.